Whose Live Anyway?, Repertory Dance Theatre: Current, Sinbad and more. Whose Live Anyway? borrows its title from the popular improv comedy series Whose Line Is It Anyway?, and for good reason. This traveling troupe of actors and comedians knows how to provide 90 minutes of pure hilarity where no one knows what will happen next. 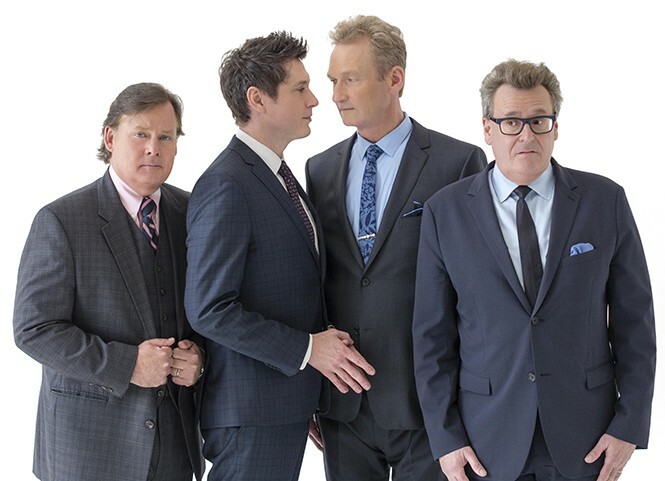 Three of the four members of the ensemble—Ryan Stiles, Greg Proops and Jeff B. Davis—are veterans of the TV show, and all four, including Joel Murray, are seasoned at spontaneity while taking their cues from audience suggestions. They create sketches, songs and contests that are entirely unrehearsed, relying only on their improv skills to procure the possibilities. Proops (pictured above, far right) mentions a show they performed in Pennsylvania, where they brought up an 8-year-old boy to provide sound effects: "Someone said, 'The police are coming,' and he let out a piercing shriek that only an eight year old can emit and shattered everyone's eardrums. The audience gasped and all four of us hit the deck at once." He also shares a story about bringing a couple onstage for a sketch called "First Date," based on two audience members' early dating experience. "The guy revealed he wanted to marry his girlfriend," Proops says. "So we asked him to propose onstage, and he did. The crowd went bonkers. Thank goodness she said yes, or it might have become the saddest moment in comedy history." Sometimes the old doesn't have to be replaced by the new; there is strength in forging alliances across generational waves. So suggests Repertory Dance Theatre's upcoming performance, Current. "I call these people the young dance-makers," RDT's Executive/Artistic Director Linda C. Smith says. "They are really looking at this time, this place, this culture, our dreams, our hopes, our aspirations, our challenges ... they're making statements about who we are today." These dance-makers include the four choreographers whose work is featured in Current. Three are former RDT dancers, while the fourth was the 2017 winner of RDT's Regalia choreographer competition. "It doesn't matter how old they are," Smith says, "but they represent a new wave of dance-makers that say something about this generation." While what they say varies, the theme of connection remains strong in each piece throughout Current's lineup. "This is a lovely combination of works that have a lot of variety," Smith says. "It's exciting to see this new wave of choreographic energy that's taking over the world." He might not have been the first African American comedian to achieve prominence—as he followed in the footsteps of, among others, Redd Foxx and Richard Pryor—but Sinbad (real name David Adkins) was among the earliest to make a mark in mainstream comedy. Where others were unafraid to get down and dirty, Sinbad eschewed vulgarity and focused instead on making people laugh at their own foibles. 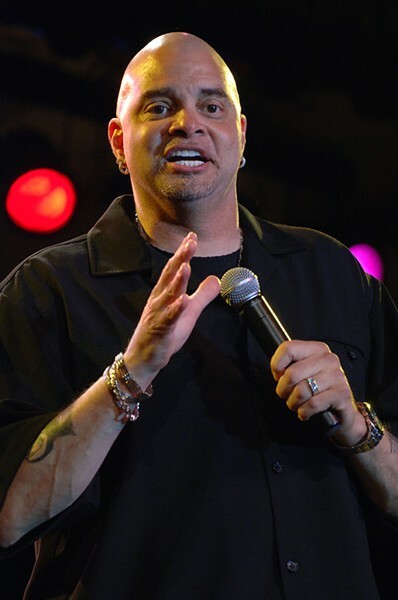 His unlikely stage name—which he supposedly chose out of respect for Sinbad the Sailor—has topped many a marquee in the years since and made him an indelible presence in comedy clubs, his own HBO and Comedy Central specials and network sitcoms. Films soon followed, and his role in the popular comedy Jingle All the Way found him competing with Arnold Schwarzenegger for silliest screen antics. His work has earned him a NAACP Image Award and a Blockbuster Entertainment Award for Favorite Supporting Actor. Always the good guy, he also authored a book boldly titled Sinbad's Guide to Life: Because I Know Everything. Apparently he does: Aside from his comedy career, he bills himself as a Master of Technology when serving as celebrity emcee for private corporate events sponsored by Intel, Apple and Microsoft. There are authors who tend to stay in a comfortable groove with their protagonists, writing characters who are more or less like them. Then there's Jonathan Evison, who has built stories around a young man with muscular dystrophy (The Revised Fundamentals of Caregiving), a 78-year-old widow (This Is Your Life, Harriet Chance! ), and for his latest, Lawn Boy, a 20-something half-Mexican-American still living with his mother. 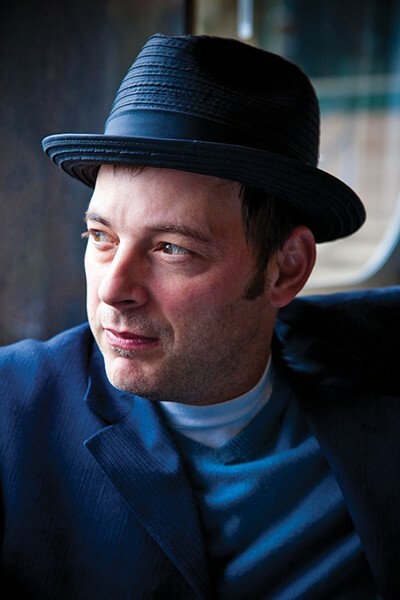 "I want to be a more expansive person at the end of each novel," Evison says by phone from his home in Washington state. "I'm the guy on the bus looking around; I find people, try to imagine what their home life is like, what they do for a living." For Lawn Boy's Mike Muñoz, what he does for a living, and does very well, is landscaping—at least until he's fired from his job when he refuses to literally pick up crap. He spends the rest of the book struggling to get his financial head above water, dealing with situations like how to remove a painful tooth when you've got no money and no insurance.